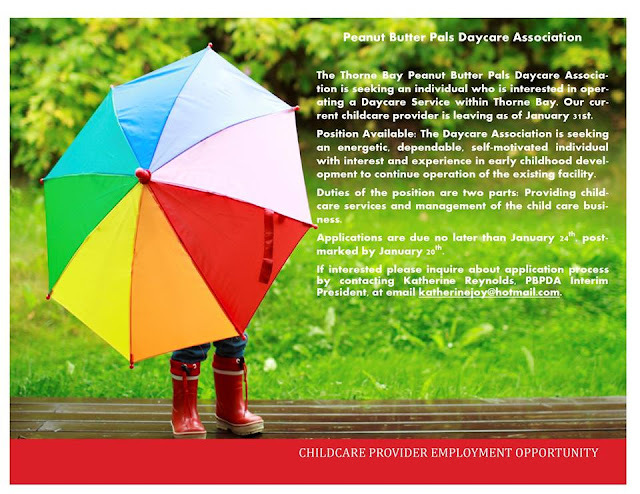 Thorne Bay Peanut Butter Pals Daycare Association is looking for individuals. Applications are due January 24th. Contact katherinejoy@hotmail.com for more information.